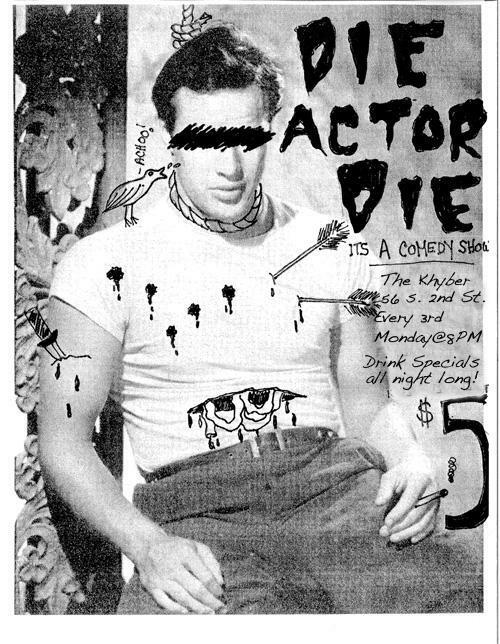 DIE ACTOR DIE is a comedy show on the 3rd Monday of every month at the famed Khyber in Old City Philadelphia. Each show features stand-up, sketch, video, music and whatever else host Don Montrey can throw up there. DIE ACTOR DIE is also a daily blog where Don Montrey posts stuff he finds funny. But you know that because you’re here already.